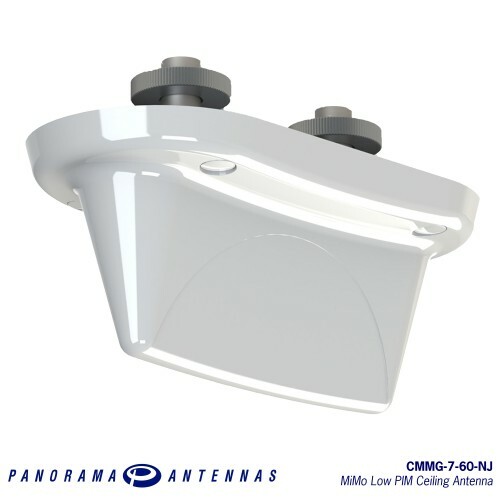 The CMMG-7-60-NJ ceiling antenna is a compact and subtle way to provide MiMo InBuilding or DAS coverage for the networks of today and tomorrow. Concealed beneath the antenna housing are two isolated, highly efficient wideband elements capable of supporting 2G/3G/4G/WLAN and WIMAX networks from 698-960 and 1710-6000MHz. Suitable for indoor or semi-exposed use the antenna requires two mounting holes for installation but offers additional screw fixing holes located beneath removable caps. 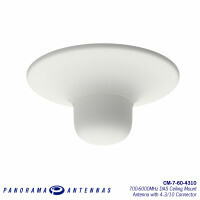 The antenna is ground plane independent and can be fitted onto both thick and thin ceiling tiles.